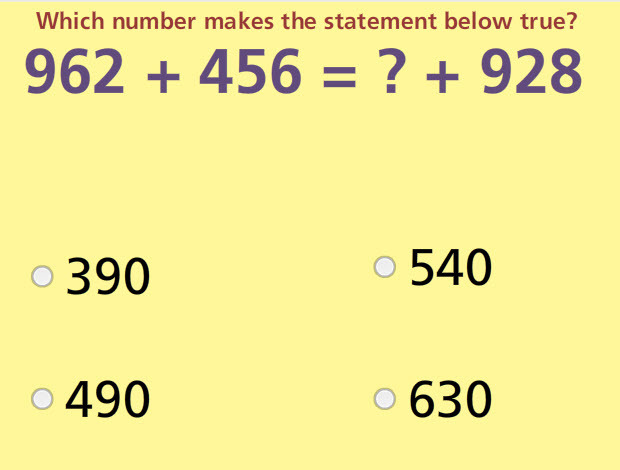 Make the addition equation true by providing the correct number up to 3 digits in this interactive math test. It gives immediate feedback for diagnosis and reinforcement. This test students must balance addition equations up to 3 digits. There are seven multiple-choice questions and three drag-and-drop questions. Students will have to supply the correct number up to 3 digits that will make an addition equation true. They will have to add two numbers and then subtract the number on the other side of the equal sign in order to calculate the answer. Return from this Balance Addition Equations up to 3 Digits Math Test to the Elementary Math Tests , 3rd Grade Math Tests webpage, or to Math Tests.